Colihan, Kelley. 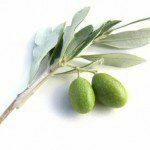 “Olive Leaf to Treat Hypertension.” WebMD. WebMD, 8 Aug. 2008. Web. 05 July 2012..
El, Sedef N.; Karakaya, Sibel. Nutrition Reviews. Nov2009, Vol. 67 Issue 11, p632-638. 7p. 1 Diagram, 1 Chart. DOI: 10.1111/j.1753-4887.2009.00248.x. Olive Leaf Side Effects – a Temporary Worsening of Symptoms.” Olive Leaf Side Effects. N.p., 2011. Web. 05 July 2012..